How we feel about our bodies affects us every single day. Everybody overeats sometimes. Overeating is a coping skill to deal with being overwhelmed, bored, lonely, stressed, happy, unhappy, and more. Even when somebody loses weight with all the diet programs available, very few people actually get to the roots of the problems and deal with the weight ... because there are advantages of being overweight. There are advantages to overeating. Some of these are not understood by most people. 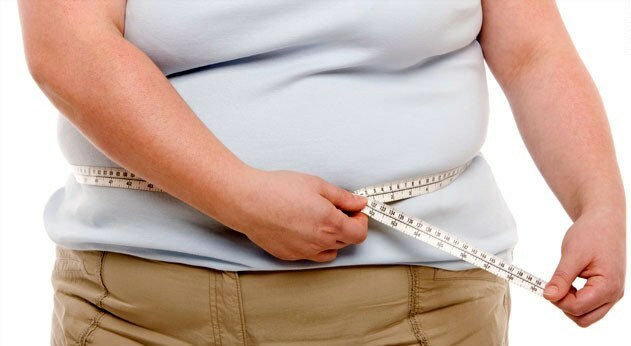 Being overweight can keep sexual advances away. It can keep bullies away, because the bigger you are the less likely you are to be bullied, just like the less likely you are to experience sexual advances that may make you uncomfortable. Weight loss isn't just a matter of losing pounds. We all know that if you ever want to gain weight, you can go on a diet because when you starve yourself you will overeat. Or when you limit yourself you will find a way to overindulge. Losing weight and keeping it off means you have to deal with the emotional reasons and here is an easy way to understand yourself. Answer this question. At what age did you first start to gain weight? Was it five years old? 10 years old? 15 years old? 10 years ago after having a baby? After having trouble at work, trouble in relationships? At what age did you first start to gain weight? And then ask yourself, "Whey then?" Why not three years earlier or three years later? Then ask yourself, "What effect has this had on my life, years, decades later?" This is a good beginning because it will help you find out what ages, stages, rings of the tree emotional issues, psychological issues, developmental issues you need to get to, to resolve the root problem so you can lose weight and keep it off. You will learn exact techniques to do this as soon as you start. I had been a binge eater since I can remember. Cookies, Candy, Ice Cream, Potato Chips…oh how I love Potato Chips. I would make toast and then dress it up with tons of butter and sugar! Always there was a weight problem. Being over-weight is a problem, especially in High School and as a young adult. I was aware of how unhappy I was in my own life, and in my own skin. I just didn’t know how to make the necessary changes. I didn’t know I had choices. Sadness and Self Judgment were my companions. Food filled the void that these created. I lived an endless cycle of eating and dieting. Truly, I’ve them tried it all. Many of them weren’t very healthy. By the time I met and started to work with Dr. Alman, I weighed 265+ pounds. I had lost and gained back my weight so many times. I call it ‘my weight’, because it was “my baggage.” We immediately started to explore, not the weight, but who I was. Who I am. I began the process of self-exploration and self-acceptance. Self-acceptance is a wonderful thing. As I learned to be my own best friend, the extra weight I carried around just fell away. I began to incorporate new ways of self-care. Healthy eating, exercise, play…ways that work for me, because they come from inside of me, not what someone else thinks I should do. I used the tools Dr. Alman taught me, breathing, colors, letting go, last row perspective… as I learned to accept and express each part of me, my inner view changed. My habits changed, almost without me noticing, my body changed too. That was almost 10 years ago. It’s great. I am still down 90 pounds. I still use the tools Dr. Alman teaches in the sessions and in Your Inner Voice. My life continues to get more exciting. Life is a joy to live, even in the hard times. This hasn’t always been my view. Today, there is not one moment I can’t “breathe” my way through. Challenges become opportunities for growth. Change is inevitable. I see with new eyes, who I am, how I walk in the world, what I want to become…what works for me.